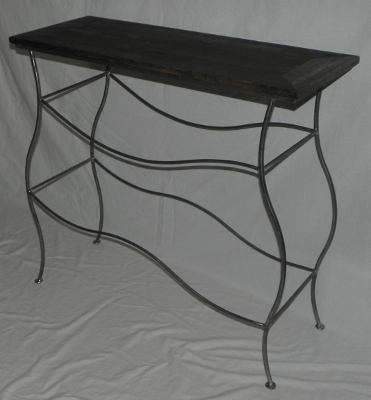 A combination of distressed pine and steel lends an elemental quality to this funky console table. Solidly built using solid iron and full welds, it’s a dramatic platform for creative displays. We can create this same console table for you in whatever dimensions you need. The finish of the top and base are fully customized as well based on your home decor. 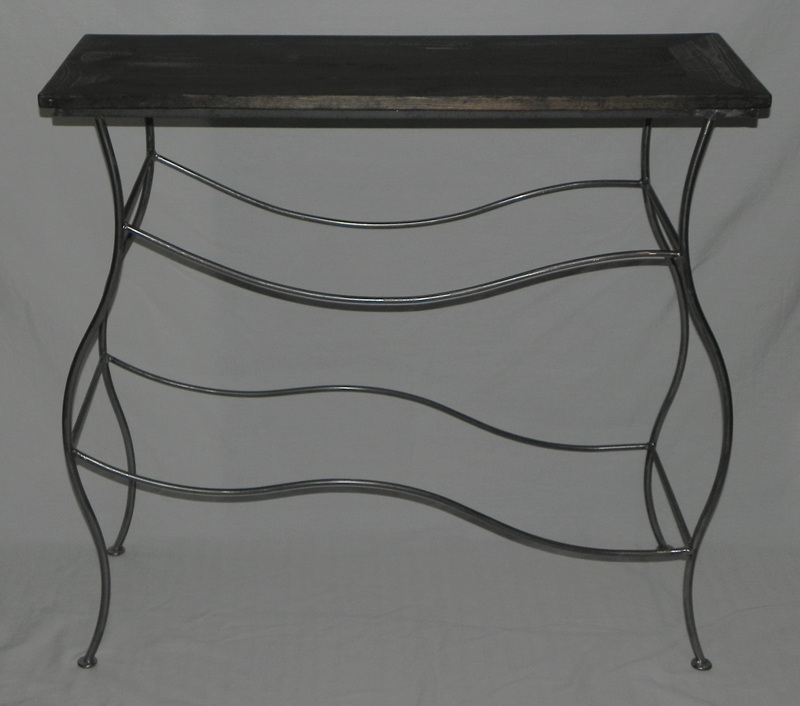 Crafted of solid distressed pine and steel. 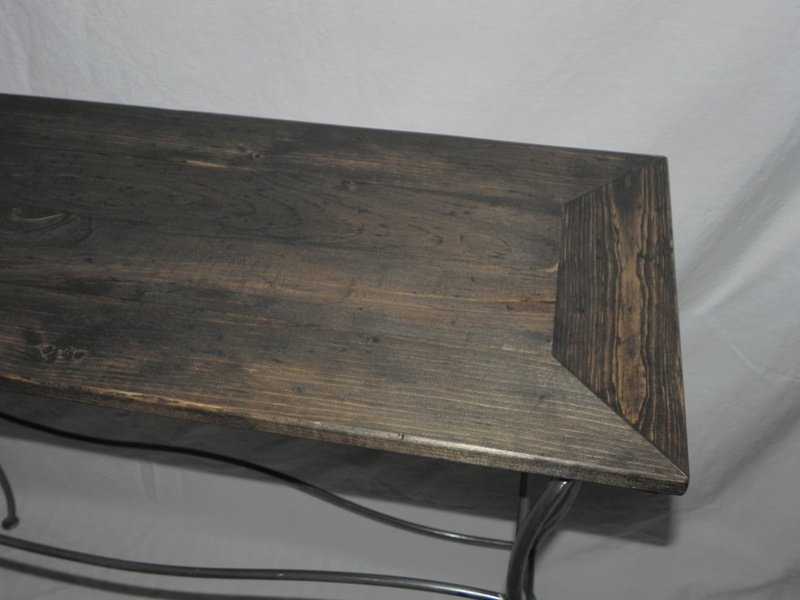 The wood top will have variations inherent to distressed materials such as visible knots, hairline cracks and wear. Each piece is one of a kind. Finish: Jacobean stained wood with brushed finish iron. Price: $295.00 SOLD – CONTACT US to commission your own functional iron art piece.